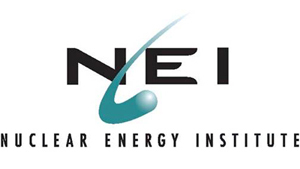 The Nuclear Energy Institute (NEI) is part of a new industry initiative to ensure plant safety and efficiency while making nuclear energy generation more "economically viable," the NEI said on Tuesday. The initiative's partners include the Institute of Nuclear Power Operations, the Electric Power Research Institute and electrical utilities; the NEI said the effort aims to develop innovations that would cut operational costs and improve safe operations at plants. Korsnick said merely approaching the issue of rising costs associated with nuclear generation will not be sufficient. The NEI said the industry's average generation costs have increased by approximately 28 percent, amounting to $36.27 per megawatt-hour in the past 12 years. Sagging economic climates in some parts of the U.S. have caused reactors to be shut down prematurely, with shutdowns planned or being considered at other reactors. “The U.S. nuclear industry excels in providing reliable electricity with world-class safety performance,” Korsnick said. “This plan will ensure that safe and reliable operations continue to be the first and most important focus of all electric companies with nuclear energy technology."